If your home needs repairs but you just can’t afford the work, there may be a solution. Through a network of participating agencies, IHDA provides assistance for you to repair your home. Let us help you make the necessary repairs so your home is a safer and more enjoyable place for you and your family. 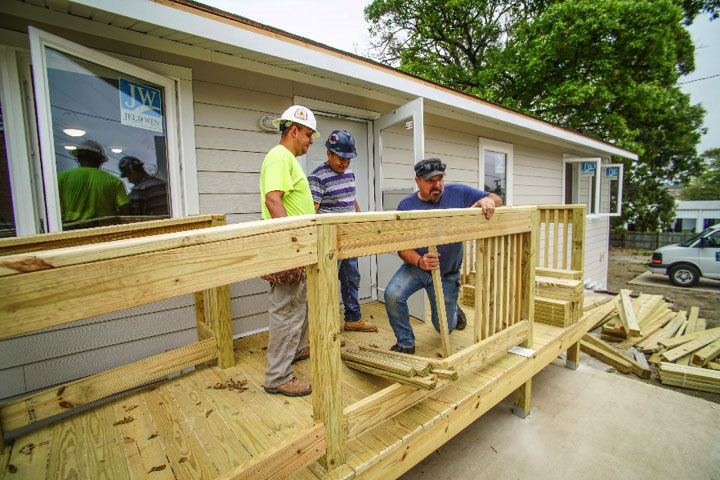 The Home Accessibility Program (HAP) provides funding to units of local government and non-profit organizations throughout the State to provide home accessibility grants to their local constituency. These grants help people stay in their homes and prevent premature or unnecessary institutionalization of the elderly and people with disabilities. Please note that IHDA does not directly fund homeowners. If you are a homeowner looking for repair funds through HAP, click here for a listing of funded organizations that you may contact. The Single Family Rehabilitation (SFR) Program provides funding to units of local government and non-profit organizations throughout the State to help homeowners make necessary repairs to their homes. IHDA does not directly fund homeowners. If you are a homeowner looking for rehabilitation funds through the SFR Program, click here for a listing of funded organizations that you may contact. You may also contact a housing counselor to help you understand what options are available to you.